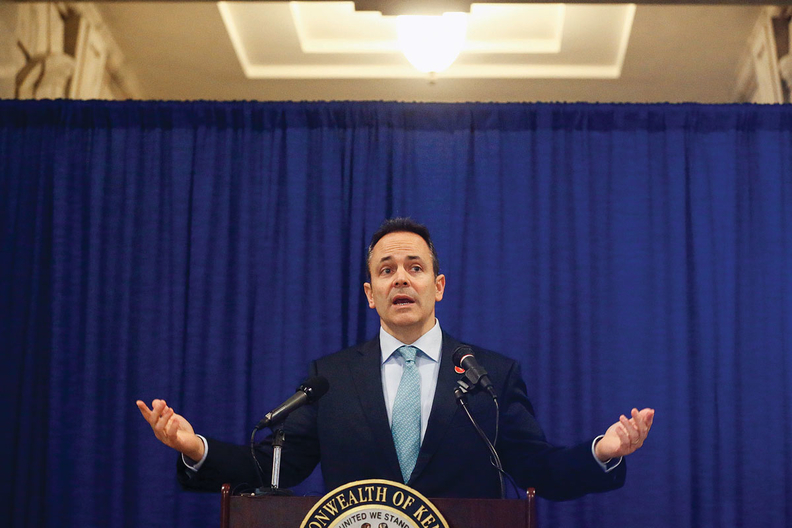 At least two states will push ahead with their programs to impose work requirements on their Medicaid populations despite a federal judge invalidating the CMS' approval of Kentucky's far-reaching waiver last month. U.S. District Judge James Boasberg in Washington, D.C., held that HHS Secretary Alex Azar did not adequately evaluate whether Kentucky's requirement that expansion enrollees log 80 hours a month of work or community engagement to keep their coverage is consistent with the objective of the Medicaid statute, which he said is to furnish coverage. He left the door open for HHS and the CMS to come back with a more carefully developed model. The decision could set back the Trump administration's timetable for transforming Medicaid into a program whose purpose is to improve people's health and well-being through work and prepare them to switch to private insurance. It also could slow Medicaid expansion in Republican-led states that favor work requirements. Because of the ruling, GOP Kentucky Gov. Matt Bevin says the state will cut dental and vision coverage for nearly a half-million Kentuckians covered by Medicaid. The CMS has approved work requirement waivers for Arkansas, Indiana and New Hampshire in addition to Kentucky. At least nine more states that have applied for waivers or plan to apply have to decide whether to proceed or wait to see what happens in the Kentucky case. Arkansas and Indiana officials indicated they are pushing ahead, saying the ruling has no immediate impact on their Section 1115 waiver programs. New Hampshire officials did not respond to requests for comment. In Arkansas, low-income adults ages 30 to 49 participating in the Medicaid expansion program had to file an online report by July 5 that they completed 80 hours of work or community engagement activities in June, or that they qualify for an exemption. State officials offered no estimate of how many Arkansans will drop out of Medicaid as a result of the work requirement. CMS Administrator Seema Verma's waiver approval letter to Arkansas in March included little discussion of the coverage loss issue, focusing instead on the health benefits of gaining employment. In Indiana, by July 2019 low-income adults ages 19 to 59 will have to report completion of work or community engagement activities, starting with five hours a week and phasing up to 20 hours by 2021. The state estimated that as many as 33,000 people would lose coverage due to noncompliance. New Hampshire will require all Medicaid expansion enrollees who don't qualify for exemptions to document 100 hours a month of work or community engagement activities, starting Jan. 1, 2019. The state has offered no estimate of the coverage impact. Jane Perkins, legal director at the National Health Law Program, one of three groups that brought the Kentucky lawsuit, said she and her colleagues are talking with advocacy groups in Arkansas, Indiana and New Hampshire about filing similar legal challenges. “The court has put the administration on notice that it needs to implement the program Congress enacted, which is intended to furnish coverage, not cut it,” Perkins said. Dawn McKinney, policy director at New Hampshire Legal Assistance, was noncommittal about whether they'll file a similar lawsuit, instead saying that they'll closely watch what the state does in light of the ruling. Arizona, Kansas, Maine, Mississippi, Ohio, Utah and Wisconsin have work requirement demonstrations awaiting approval from the CMS. Michigan and Virginia plan to seek similar waivers. If the Trump administration appeals Boasberg's decision and it's upheld, the CMS likely would have to work with Kentucky to recraft its waiver proposal and the CMS would have to go through a fresh approval process. Verma said her office “was conferring with the Department of Justice to chart a path forward.” Kentucky officials said they'll work with the CMS to resolve the issue raised by the court. Sara Rosenbaum, a professor of health law and policy at George Washington University who opposes work requirements, said all four state work requirement waivers are vulnerable to the same legal attack—that Azar didn't do his job in making sure they are consistent with Medicaid's objective of furnishing coverage. Now the question is whether Azar will reconsider those approvals and evaluate them for their coverage impact, or risk more lawsuits and the potential derailment of work requirements.